The water temperature is 50-52 degrees. Striper: Medium Action: Good numbers of fish have still been coming out of the lake on cut bait especially chicken liver, over at the dam and inlet. Bluegill: High Action. Lots of high quality panfish are being taken on mini jigs tipped with any kind of worm. Make sure to have a slow retrieve and watch for the line to twitch. 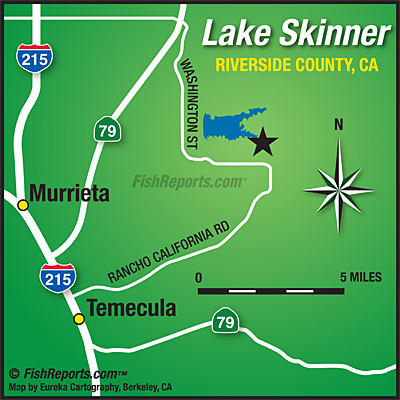 Catfish: Low Action: Try livers at the dam and inlet. Largemouth: Medium Action: Bass should be getting into the pre spawn mode and make sure to watch for them to start being on beds! Trout: Next trout plant will be this Wednesday, February 13th 2019, 600 lbs. Carp: Low action, big carp ready to catch, easy and fun. Use your favorite carp dough balls, along the banks or under heavy cover. Stop by the camp store or marina and share your fishing stories with us.